A fugitive suspected of taking part in Turkey’s most lethal terrorist attack was released by Turkish authorities despite having been arrested while trying to leave the country for Georgia, the Turkish news site Evrensel reports. 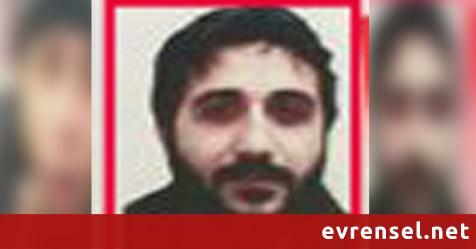 Nusret Yılmaz, described in Evrensel’s piece as the head of the Islamic State (ISIS) cell in the southern Turkish city of Antep, in mid-2017 was allowed to pass the Turkish border checkpoint at Sarp, near the Black Sea city of Artvin, despite being the subject of an Interpol Red Notice for suspected links to ISIS. A warrant was also issued for Yılmaz in April 2016, along with 35 other alleged ISIS members, in connection with the Oct. 10 2015 bombings of the Ankara Central railways station, which killed 109 civilians during a trade unions rally in the countriest worst terror attack. Yılmaz was arrested by Georgian police as he attempted to cross into Georgia and sent back to Turkey. However, two days later, he appeared at the same border crossing, was again let through the Turkish side, and again arrested and returned by Georgian police. However, the suspected terrorist still remains at large. News of the release pending trial another suspected ISIS member, Afra Shaar, was reported earlier this week. Shaar had spent years in Syria with her husband, an ISIS fighter, before returning to Turkey to live with his in-laws after he was killed. After a police raid found ISIS symbols and pictures of her holding assault rifles on her computer, the court released Shaar, saying there was no evidence that she was a member of the jihadist organisaiton. Turkish members of parliament have raised objections to the allegedly lax measures taken against jihadist terrorist suspects, with MPs Meral Danış Beştaş and Aylin Nazlıaka demanding answers from the government on why Yılmaz was released and his current whereabouts. Ankara Katliamı'nın firari sanığını serbest bırakmışlar!